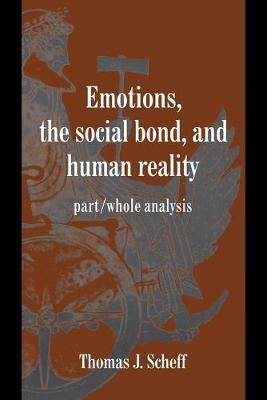 In his important book, first published in 1997, Thomas Scheff offers an approach to researching human behavior which relates the smallest parts of social interaction to the greatest wholes of social structure. These are the details and connections usually found only in the finest novels, but Scheff combines the insights of the humanities and social sciences to capture the same evocative details of sight, sound, and context, better to understand what he calls 'human reality'. He puts a fresh emphasis on the importance of emotions in the social bond, and describes in newly subtle ways the outer and inner lives of persons in real life, such as inner-city children, and in fiction, such as Jane Austen's heroines. By closely observing the significance of words and gestures in the context in which they occur, he is able to illuminate the connection between people's lives and the society in which they live.